Thank you for visiting us on another Terrific Tuesday. Today is our bi-weekly SVG-Cut File Showcase. It is also our last showcase for this design team term. We will be coming back in July with a great new format, so we aren't going anywhere but into our craft rooms to work on some more great, creative projects to share! Speaking of share…let’s get right to the crafty goodness the designers have for you! DCWV Stack: Cherry Limeade Stack. 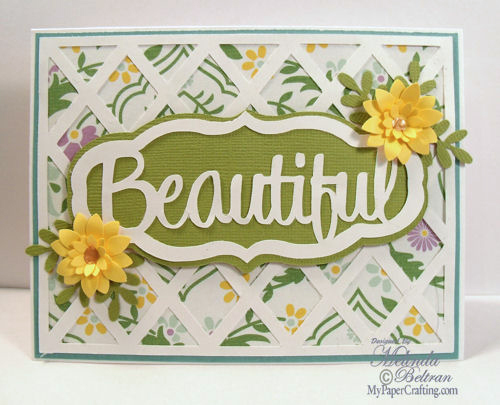 I created this card with paper from the Die Cuts With A View Cherry Limeade Stack. This paper is foil and has a beautiful metallic finish. 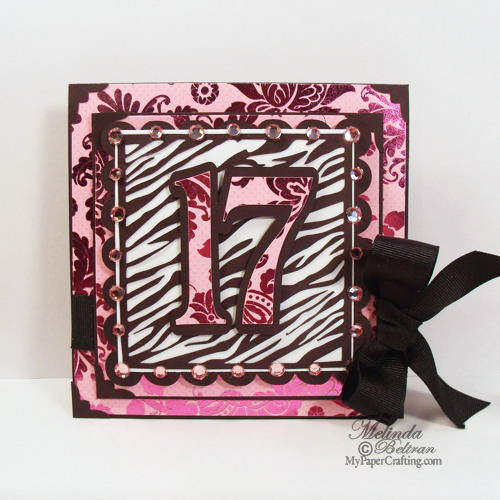 Perfect for my animal print and all things flashy and blingy seventeen year old! I finished it off with some ribbon and bling! 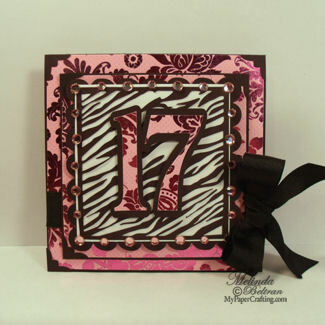 Next I created another card using the free svg file for this week. PLEASE SIGN UP FOR MY NEWSLETTER. is now in each newsletter. Be sure to visit us tomorrow for some great Cricutlicious inspiration! Love the projects, gals. It's been so much fun designing with the Melin's files for these Tuesday posts. I love learning from each of you. Wow everyone, the projects knocked my socks off today!! lol Ok my flipflops since I'm not wearing any socks. lol I can't wait until I can cut some of Melin's cut files! Melin, you and the DT continue to inspire us each and every day!! This CF is "Beautiful"!!! 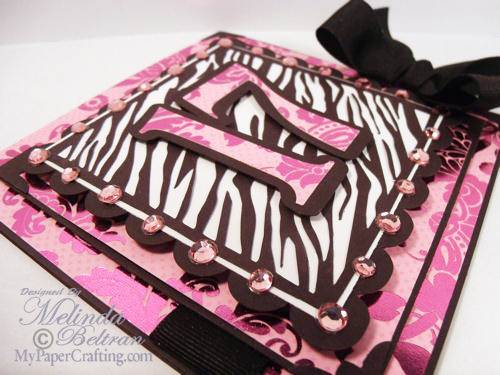 The moment I saw your card on Facebook, I hoped for this file to the freebie you were giving!! Thank you!!!! lovely work ladies! I am really liking the new zebra shapes, very cool! I tried to download this file but it won't let me? Maybe it's expired?